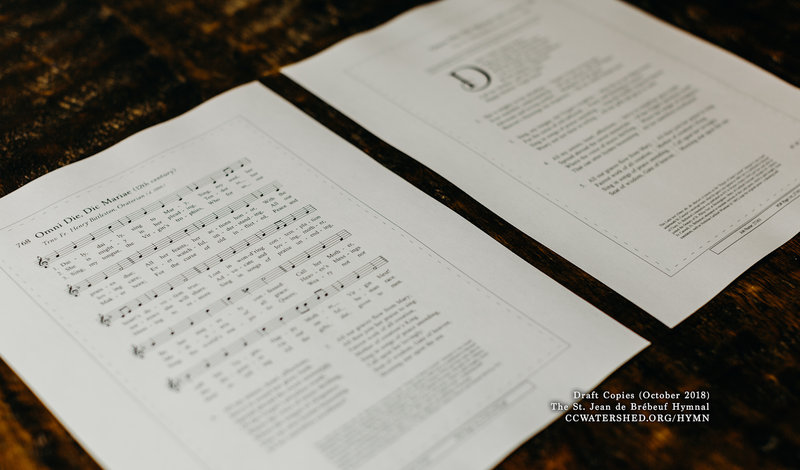 Our thanks to Fr Christopher Smith, one of our colleagues at Chant Café, for sharing with us his review of this exciting new project from Corpus Christi Watershed, the St John de Brébeuf Hymnal, a truly Catholic collection of hymns which can be used with both Forms of the Roman Rite. The celebration of the Mass that best corresponds to its true nature, and to the Church’s magisterial teaching, is a fully sung liturgy, with pride of place given to Gregorian chant, and the Ordinary and Propers sung according to their proper texts. The all-too-common “Four Hymn Sandwich” is a curious holdover from a Low Mass culture in which people sang pieces unrelated to the liturgical texts, often in the vernacular, while the Mass was in Latin. It is a curious blindspot of the liturgical influence-makers of a certain age that they would keep this disconnect only to advance another part of their agenda, but this is the world we inhabit. There are voices crying in the wilderness that the propers must be restored to their pride of place, and they are being heard. 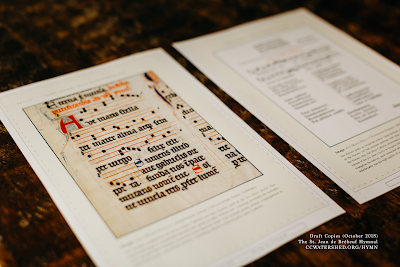 The melodies of the Graduale Romanum with their Latin texts are being heard in more and more places; vernacular adaptations of them, and new compositions, metrical and more chant-like, are coming forth and being used. This is creating a desire for better liturgy and better music, but we all know that sometimes we have to make baby steps towards our ideals. Hymns have become such a part of Catholics’ expectation of their Mass experience that calls for their removal and replacement with antiphons alone are often met with suspicion or anger. And so they remain. But the question about the hymns is then reduced to, “What texts, what melodies, what styles are appropriate?” The unseemly battles in liturgy committee meetings over whether young people want Isaac Watts, Marty Haugen or Matt Maher at Mass all miss the point: the relative merits of those varied styles are all paltry in comparison with the treasury of hymnody which the Church already has, still, unfortunately, largely untapped. How then do the discerning musician and pastor mine the tradition for hymns to introduce to Catholics? How can we unlock the treasury and unleash the riches? 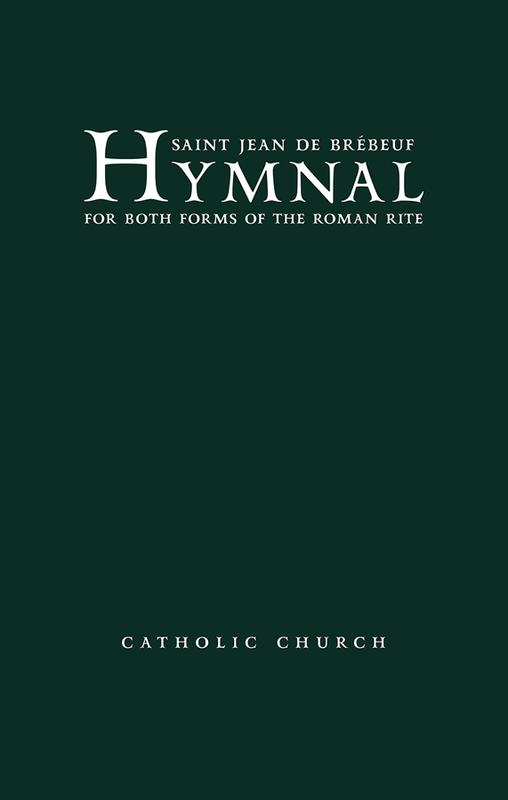 Enter the Saint John de Brébeuf Hymnal for Both Forms of the Roman Rite, published by the John Paul II Institute for Liturgical Renewal in 2018. Those familiar with the other projects which Corpus Christi Watershed has assisted with, will note a familiar design. 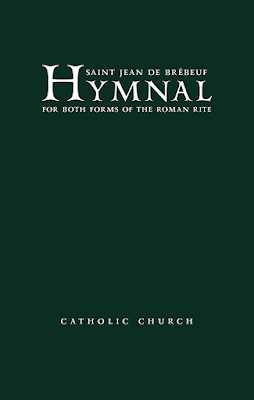 But this is not the ordinary run of the mill “collection of hymns that people know with a few they don’t know.” This hymnal is a work of incredible scholarship, and one which puts the fruit of that scholarship to work in a practical vehicle for opening the treasures of Catholic hymnody to the people. The first part of the book, entitled, “Ancient Hymns of the Catholic Church,” contains many of the hymns of the breviary. But these are presented in such a way as to provide several tunes and several texts in English, often taken or adapted from a wealth of English translations from centuries past, some of them even taken from English Catholic primers of the Renaissance and Baroque era. But they are not just borrowed from these sources wholesale. Discerning editors have given great thought to how a large swath of people in our pews would take to singing certain words or turns of phrase, and carefully adapting to what people might actually get their mouths around in singing! The second part of the book, entitled “Additional Hymns”, will be attractive to those who are open to introducing these “old but new for most” hymns, but want a resource that also contains appropriate hymns for the liturgical year, as well as general use hymns more familiar to English-speaking congregations. An interesting feature of the book is that the index is placed not at the back, but in the middle of the book, after an attractive set of color plates exploring hymnals. The indices are quite well thought out. They provide the ability to search for name, hymn tune, and occasion in an admirable way, and their placement in the middle makes looking for them easier than wrangling the book at the end. There is also a section at the end with several versions of the Stations of the Cross, which is useful to have, in the same volumes as the hymns for many parishes, text and hymns without the multiplication of more little booklets. A good choir program will of course contain many pieces of complexity, whether by Palestrina, Bach, or Duruflé. But the mature choirmaster knows well that simple pieces—such as the magnificent hymn tunes in the Brébeuf Hymnal—can be utterly sublime. Moreover, these simple melodies can always be enhanced by new harmonizations, descants, counter-melodies, and SATB arrangements. This volume is useful to have in any music library or pastor’s office for reference, but is also the kind of volume which can be profitably sought out for choirs and for congregations. 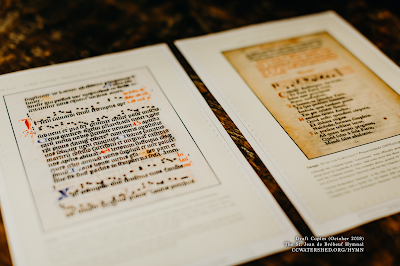 As a hymnal without the readings in it, which provides ample resources both old and new, it can truly be said to mark a new and exciting phase in the recovery of ancient liturgical texts for the use of the faithful in a practical way for all involved!